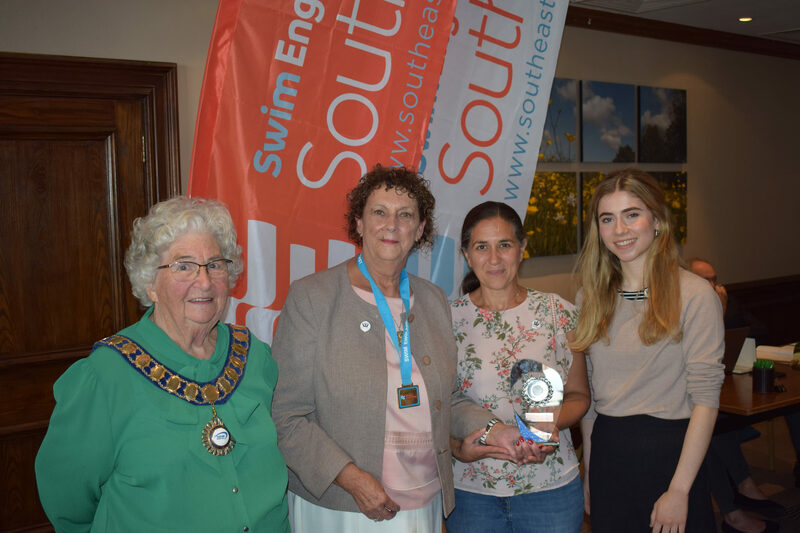 On September 15th 2018, The Electric Eels won the Swim England’s Swimming Club of the Year award for the south East Region. There are eight regions in the country, and we now go to the Finals in November against the other seven regions. This is a great Honour for the club as there are 1,056 clubs in the country. Pictured below is the South East President, Teacher Anna Weavers, Head of Synchro Di Hughes and Founder of the Club Pauline Walker. This has been an amazing year for the club.